Buzz Pop / Mmm, Sushi Ice Cream? 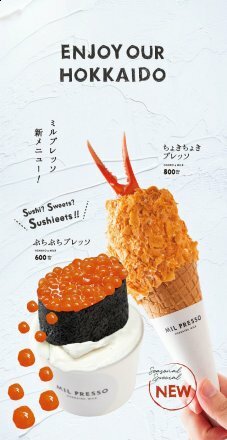 Sushi and Ice Cream are two of my favorite foods, but the idea of combining them kind of makes me want to puke. 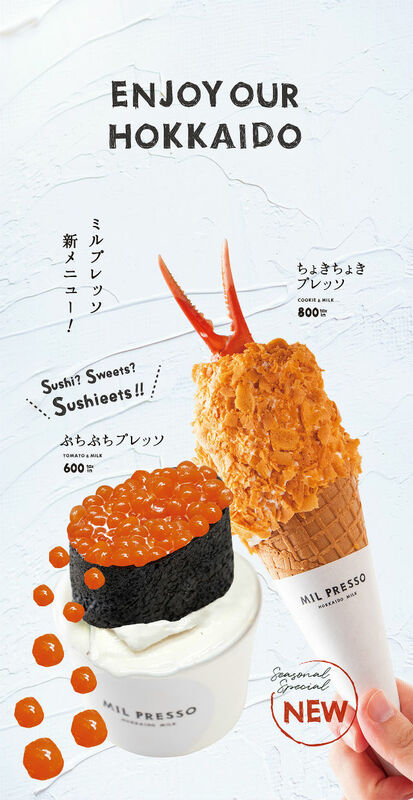 In the Japanese city of Hokkaido, one famous ice cream parlor is taking that idea and creating a new line of ‘Sushi Sweets’ that combine the two. 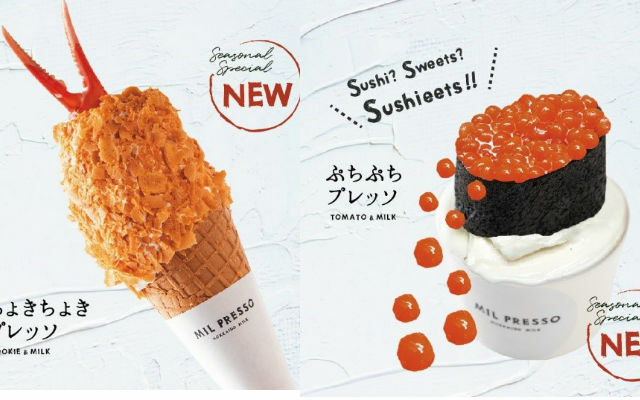 The good news is that, as much as these new ice cream creations look like sushi, they are thankfully fish-free. That said, they are still kind of weird. When it comes to their Ikura (Fish Roe) sushi ice cream, the roe isn’t actually fish eggs, but it is still a pretty unique ingredient - small balls, filled with tomato juice jelly. Their second item, a Crab Cream Croquette ice cream, is for the more adventurous eater. It starts off with a pie dough cone that is dipped in crunchy crab flakes. We aren’t sure what is in the Crab Cream, but the shop says that it adds a great blend of sweetness and umami.